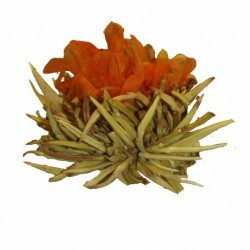 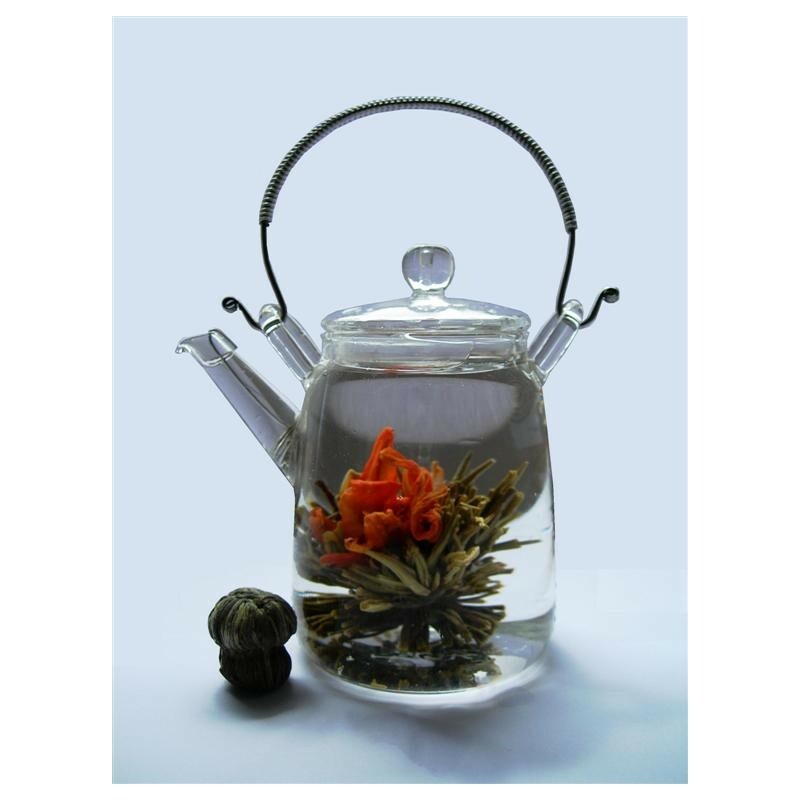 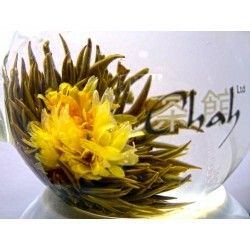 This flowering tea ball opens to reveal an explosion of orange, the petals stretch out like early morning sun rays and releases a shower of yellow petals. 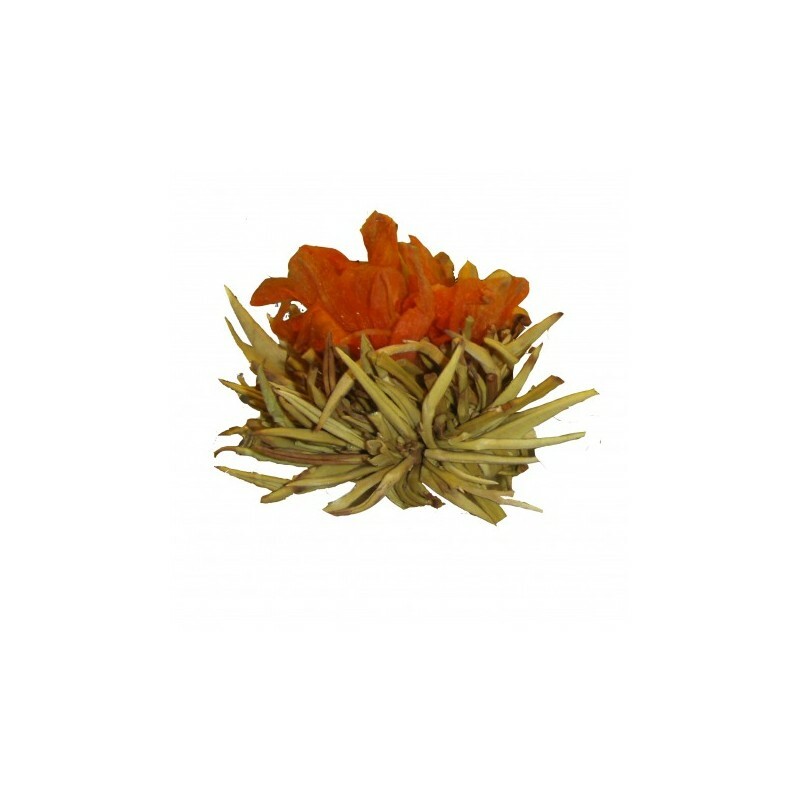 This flowering tea ball opens to reveal an explosion of orange, the petals stretch out like early morning sun rays and releases a shower of yellow petals. 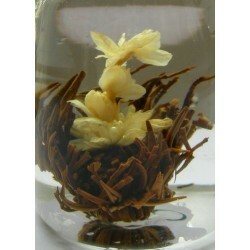 This incredible tea ball is a combination of osmanthus, lily and silver needle tea. 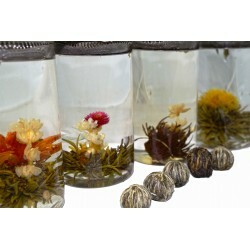 Ingredients: Silver needle tea, osmanthis and lily.